Near the end of 2016, we published a review roundup comparing three premium computer audio interfaces from MOTU, PreSonus, and Antelope Audio. While all were admirable products, the Antelope Audio Orion Studio was our clear-cut favorite of the bunch, delivering extraordinary sound quality and a fantastic feature set ideal for the pro studio or serious project studio. Imagine our surprise when just a few months later, Antelope Audio released the Orion Studio Rev. 2017, a seemingly identical product with a refreshed paint job. What changed? The Orion Studio Rev. 2017 is a nearly identical product to the original Orion Studio, but it features an updated A/D converter that increases the Orion Studio’s dynamic range from 120dB to an even more impressive 124dB. Besides the increased dynamic range and the cool, grey finish, the products remain feature identical. If you have an original Orion Studio, have no buyer’s remorse. In typical use, this is a spec difference that we just don’t notice on most audio tracks. We’re splitting hairs over minimally different levels of greatness, but the sound quality of the preamps, effects, and virtual instruments are just as good as they are in the original version of this product. In fact, we have been so impressed by the quality of Antelope Audio interfaces that we now have them installed in multiple studios belonging to our pro audio team. The Orion Studio Rev. 2017 (we’ll just refer to it as Orion Studio) has 24-bit audio specs up to 192kHz, 124dB dynamic range, and connectivity over Thunderbolt 2 and USB 2.0 (not simultaneously). It delivers up to 24 channels of simultaneous tracking over USB and up to 32 channels of audio over Thunderbolt at all sample rates. The Antelope Orion Studio offers a great blend of options that make it extra useful in the pro studio, or when your needs include tracking a lot of live instruments. To start, the Orion Studio has four combo XLR preamp/TS line/instrument inputs on the front panel, and eight combo XLR preamp/TRS line inputs on the rear. Connecting ¼” cables automatically bypasses the preamps. The rear of the Orion Studio also includes a pair of channel-assignable ¼” TRS insert jacks, useful if you have a prized compressor or other hardware that you’d like to place in the signal chain immediately following the preamp. There are two pair of analog outputs, each on ¼” TS jacks, plus sixteen direct outs via a pair of DB25 connectors. The front panel includes a pair of ¼” re-amp outputs for re-amplifying dry guitar signals taken from your DAW session files. The output of the re-amp jacks is designed to provide your guitar amplifier with an appropriate impedance response so that it responds and reacts to the incoming instrument signal appropriately, as if it were being hit by an actual electric guitar or bass. 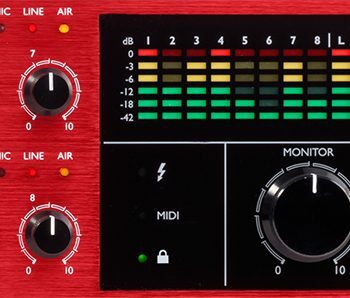 ADAT connectivity lets you add either sixteen or eight additional input channels depending on whether you’re connecting to external preamps at 44.1/48kHz or 96kHz. 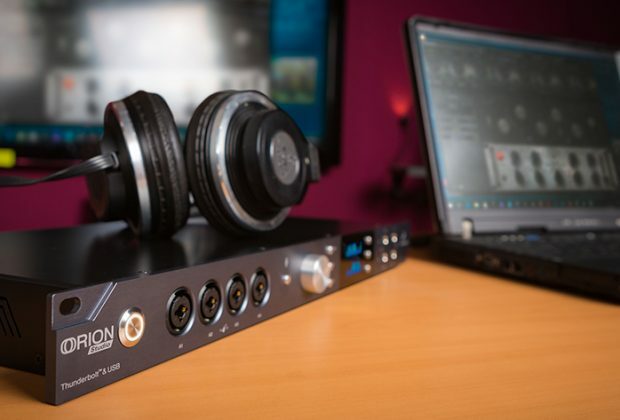 The Orion Studio features Antelope Audio’s fourth generation, renowned clocking technology, and BNC connectors are provided for external clock sync (though you can also sync via ADAT). A pair of S/PDIF digital audio connectors are also provided on RCA connectors. The front of the Orion Studio also provides two independent headphone outputs and an internal talk-back mic. Managing this expansive i/o is handled from the Orion Studio Launcher software application on a Mac or Windows PC, and the software unlocks additional capabilities not directly accessible from the front panel of the device. A mobile app for iOS and Android facilitates remote control from tablets or smart phones, assuming your host computer is attached to the same wireless network as your portable device. 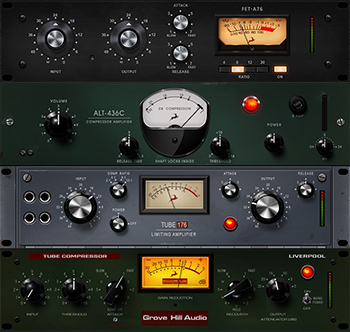 Inside the Orion Studio application, you’ll find a large collection of effects ranging from modeled vintage EQs and classic compressors to Antelope’s own Auraverb reverb to… guitar amp and speaker modeling! Many of the names reflect real-world products, such as the Impresser, which will be quite familiar to users of the popular Empirical Labs Distressor, but the Antelope team added a few tweaks such as adjustable frequency settings for the High-pass and Band-pass side-chain filters. There's no mistaking where the Tubechild670 or the BA-6A limiters came from, either. There are numerous SSL models among the collection, too. Antelope also includes their own custom-designed, modern compressors and EQs should your taste lean more towards today than yesterday. Antelope's Igor Levin designed the Stay-Levin compressor, which provides the sound and feel of a classic '60s tube-driven unit, while some of the other processors have a modern sheen that is more like something you'd find coming out of the Sonnox or Eventide realm. 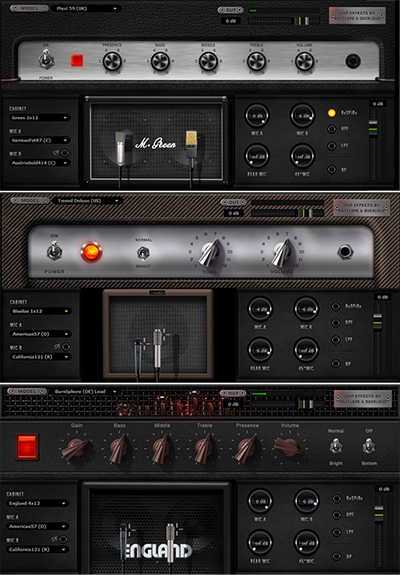 The guitar amp models were developed in conjunction with Overloud, whose amp modeling software products are highly regarded. The Orion Studio is loaded up with digital recreations of classic amps and speaker cabinets from Marshall, Mesa/Boogie, ENGL, Fender, and more, each identified with names and graphics sure to give you a clue as to which amp and speaker cabinet you’re using. There are microphone models for the cabinets, too, and you have control over the placement of two mics on each cabinet. The mics are familiar choices for recording guitars. You can track dry guitar tracks alongside the processed ones, too, for future use in a re-amping situation. Speaking of microphone models, let us be one of the first publications to tell you about the next major firmware update headed to the Orion family and other hardware built around Antelope Audio's FPGA chips: microphone and microphone preamp modeling is coming this summer! The same technology that Antelope recently introduced in their Discrete preamp interfaces and Edge/Verge microphones will now be available to users of the range of Antelope hardware as part of the next big firmware update. It's in Beta testing at the time we went to press with this review (April 2018). Integrating the Orion Studio Rev. 2017 couldn’t be much easier thanks to its range of built-in connectivity options, offering both Thunderbolt 2 and USB 2 interfaces for both Macintosh and Windows computers. So many audio interfaces include just eight preamps, with six in the rear and two of them displaced on the front panel. This makes those products extremely awkward to install in any studio where you’re using audio snakes, as these tend to bundle patch cords in groups of eight. Having a full set of eight inputs on the back of the Orion Studio was welcomed—and in our studio, a necessity for proper integration. Having four inputs instead of a typical pair on the front was a generous and useful bonus. We tested the Orion Studio Rev. 2017 with both an Apple iMac 5k 27” (4.3Ghz i7) and a custom-built audio PC workstation with similar specs. 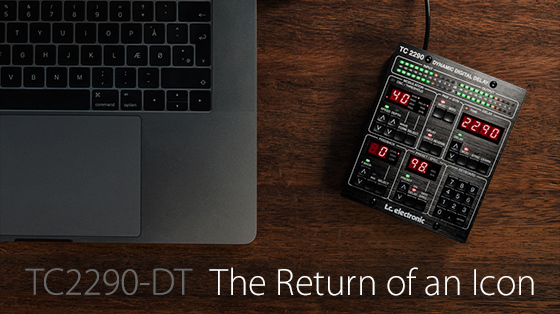 Audio interface performance has evolved over the years, and Antelope Audio claims near-zero latency in the Orion Studio. Without getting bogged down in the details of milliseconds, we will simply say that our experience tracking with the Orion Studio supports their claim of super-low latency. 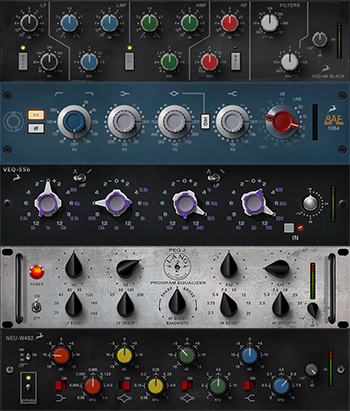 Running basic effects and processing directly in the interface instead of relying on your host computer and associated plug-ins makes it easy to track with compression, gates, reverb, etc. across multiple tracks with zero performance impact on the host computer—and zero latency if relying upon direct monitoring of the audio outputs. We had no trouble tracking inside Avid Pro Tools 12 with a buffer setting of just 128 Samples on either the Mac or PC, and could actually select/achieve lower buffer settings on our Wintel machine if desired (but truthfully, most musicians tend to be perfectly happy—or blissfully unaware—with buffer settings of 256 Samples during tracking, other than (perhaps) shredders soloing over extremely fast, technical, music material). 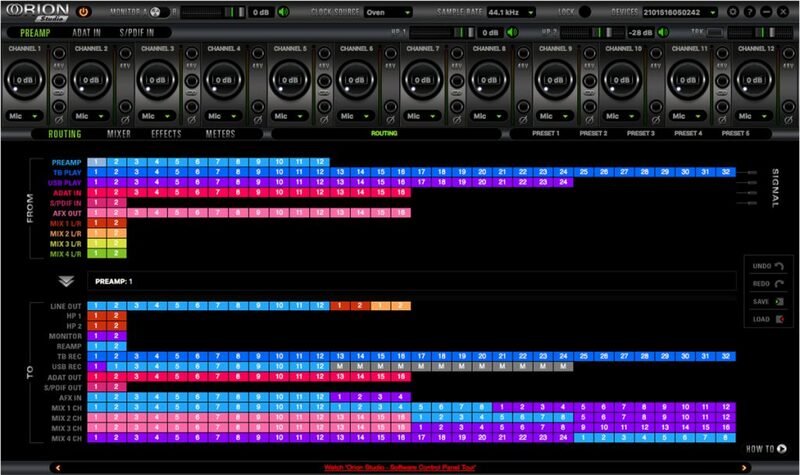 The Orion Studio is managed via the Orion Studio Launcher control panel (application), which provides a unique, multi-colored, grid-like interface through which you simply drag and drop to make connections from your desired source input to target outputs. Antelope takes full advantage of color and shading to provide one of the most elegant software interfaces we’ve seen for controlling our studio hardware, but most users will find the interface initially daunting. One challenge is that until you map inputs to outputs, you get no audio output from the Orion Studio, which can prove quite alarming the first time you attempt to use it. A brief tutorial video will help you get up and running quickly, though, and once you understand the i/o grid, you’ll find that this elegant interface is extremely functional and efficient. We connected the Orion Studio to our iMac via a Thunderbolt 2 cable and attached our KRK V8 studio monitors to one pair of the monitor outputs. Once we got the hang of things, we ditched the analog outputs and connected our monitor speakers using a S/PDIF connection between the Orion Studio and our PreSonus Central Station Plus monitor controller. We attached our PC using the USB interface with equivalent performance results, but our testing discussion will focus on our Mac-based experience. After mapping the TB Play output (in the From section) to Monitor outputs 1 and 2 (in the To section) and subsequently to S/PDIF Out 1 and 2, our audio passed seamlessly from the computer to our speakers. We think it would be useful for Antelope Audio to set a default mapping of both the TB Play and USB Play outputs to the monitor outputs. Setting levels was easy using the software interface. 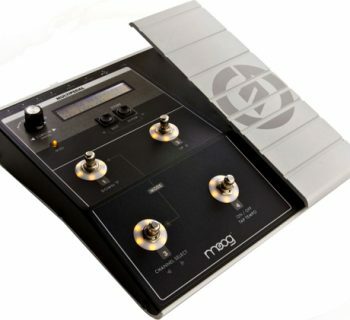 Across the top of the display (above the grid), you are presented with 12 channel controls appearing almost like microphone XLR jacks at a glance, and on each channel, we could easily select Mic/Line/Hi-Z where applicable (Hi-Z is only available on the four front-panel inputs), adjust the gain, activate phantom power (on each channel individually), flip the phase 180 degrees, or stereo link two adjacent inputs. A button above the channels switched the view to the eight or 16 ADAT inputs, or the pair of S/PDIF connectors. On the ADAT inputs, we attached a PreSonus DP-88 to add another eight preamps to our studio setup, and we could adjust gain and stereo linking settings here. Other tabs in the interface provided very detailed metering for levels on any of the various output options, as well as access to multiple mix busses, and control over the AuraVerb reverb and other effects. We were able to easily set up the interface’s guitar amp modeling on one audio channel to the computer, while simultaneously directing the dry, unprocessed guitar signal to a second audio channel. This way, we could record with a modeled amp tone, but still retain the source guitar audio for re-amping through a real guitar amp or processing through other modeling software after the fact. It was similarly easy to route the dry guitar signal to one of the re-amp outputs, and we could adjust its level from the control on the front panel of the unit. Because it was easy to route processed audio to one channel and unprocessed audio to another, it was equally easy to set up the onboard reverb to help our vocalist deliver a strong performance, while leaving actual critical vocal processing decisions for mix time. The one area where the Orion Studio falls short (and not by any great measures) is on its front-panel controls, simply because you have no real clue what half of them do from a simple glance at the device. After reading the manual, however, we were able to make use of the controls, and there was in fact easy control over signal levels for recording, individual headphone levels for monitoring, and more. The Orion Studio actually provides more hardware control from the front panel than most comparable products, but this flexibility comes at the expense of a lack of intuitiveness. Fortunately, we could control everything from within the software, which is also quite useful if the interface lives in a rack beyond your arm’s reach. Antelope also provides apps for tablets/phones to remotely operate the Orion Studio as well. We checked it out on our Samsung Galaxy S8 smartphone and had no trouble using it for basic preamp controls, though it did not provide the complete user interface as found in the Orion Studio Launcher software. While many audio interfaces sound very good, the Orion Studio Rev. 2017 sounds especially fantastic. We love the clarity and presence of the Orion Studio preamps, and when tracking drums and acoustic guitars, the Orion studio had a bright and open sounding top end that really helped our source instruments come to life. The built-in effects are outstanding, and if you like to make certain gear decisions in advance of tracking, you’ll love having the ability to assign classic modeled compressors and EQs within the hardware instead of running a suite of classic plug-ins in your DAW. We love having SSL tone and UA dynamics control (among many other classics) available in the hardware, as we can give our studio a “sound” that happens to be buried deep within the heart of our interface. Because you can save preset configurations of your Orion Studio, it’s easy to build your own custom channel strips and bring them with you from one studio to another without worrying whether or not the right plug-in collection is installed in their host computer. The preamps in the Orion Studio Rev. 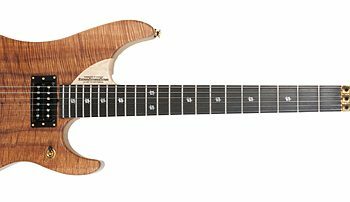 2017 are extremely quiet, and they have more than enough headroom and gain to record quiet acoustic sources as well as your traditional, louder instrumentation. The icing on the cake is certainly the inclusion of guitar amp and speaker cabinet modeling. Although this is the last thing we would consider essential in our audio interface, it was nice having pro-quality options available directly. However, you’ll have to patch effects in from within your DAW, or attach pedals and other guitar effects in front of the instrument inputs or in the aux inputs for a more complete guitar sound. We were able to select from a variety of amps and cabinets from the likes of Marshall, Mesa/Boogie, Fender, and ENGL (among others), with different matched (or not) speaker cabinets, and two modeled mics that we could arrange on/off axis and at varying distance from the cabinet. These were excellent sounding models, and because the modeling runs directly in the hardware, we experienced no latency issues whatsoever as we might encounter from amp plug-ins running in our DAW host. Feature-wise, this isn’t going to compete with a dedicated product like Amplitube, ReValver, or POD Farm, but for your basic tracking needs, we were surprised by just how good the amps sounded. You may not require additional amp modeling options. The Orion Studio Rev. 2017 documentation is a bit light on some details, but the Antelope Audio website and their associated YouTube channel contains a ton of useful tutorial videos that cover everything about the device’s operation. You’ll definitely want to watch the introduction video before getting started, as well as many of the other videos if you really want to utilize this interface to its fullest potential. The Antelope Orion Studio Rev. 2017 (MSRP $2,795) sells for approximately $2,595 and includes one USB 2.0 cable. There are certainly less expensive options on the market, but if you’re looking for professional studio quality, the Orion Studio Rev. 2017 delivers fantastic value when you consider the quality of its 12 preamps, its clock, and the great modeled equipment lurking within. The Orion Studio Rev. 2017 truly is “interface done right” when it comes to a compact, multiple preamp, computer audio interface. 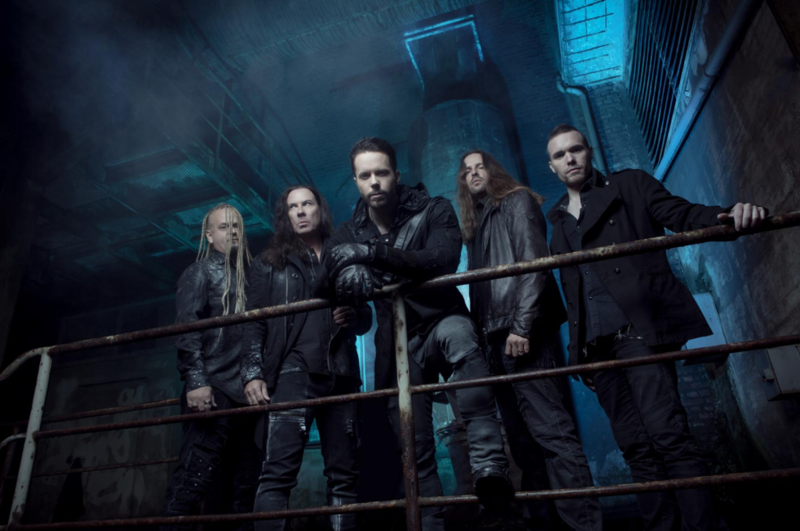 KAMELOT Kickoff North American Tour Tonight!